Description : In his third book on Indian butterflies, Bombay Natural History Society Deputy Director Isaac Kehimkar describes 1,025 species and subspecies butterflies that occur in the Indian subcontinent. His two earlier books, Common Butterflies of India and The Book of Indian Butterflies (2008) had been well received, and this third book takes it to another level, covering a much larger number of species than previously featured. 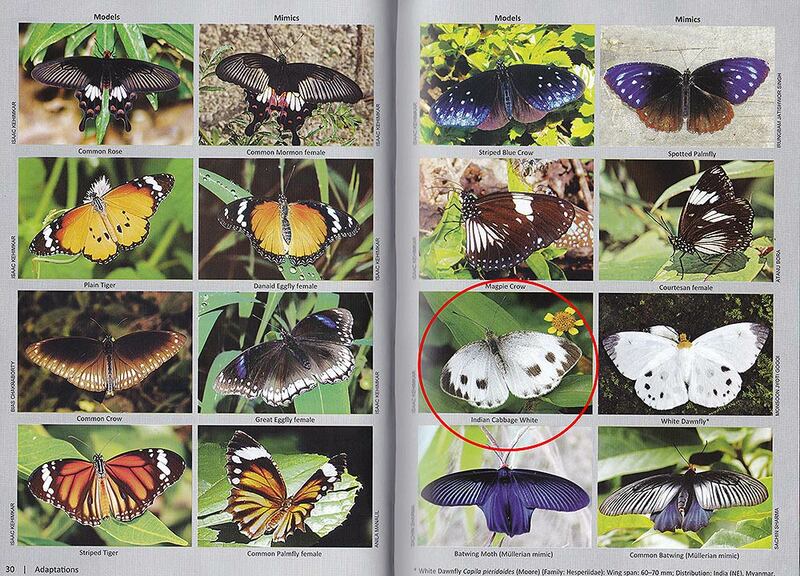 Descriptions of the butterflies are illustrated with colour images of specimens by Isaac and over 50 contributors from Pakistan, Bhutan, Bangladesh, Sri Lanka and Thailand who shared their photos to cover the wide range of species featured in the book. 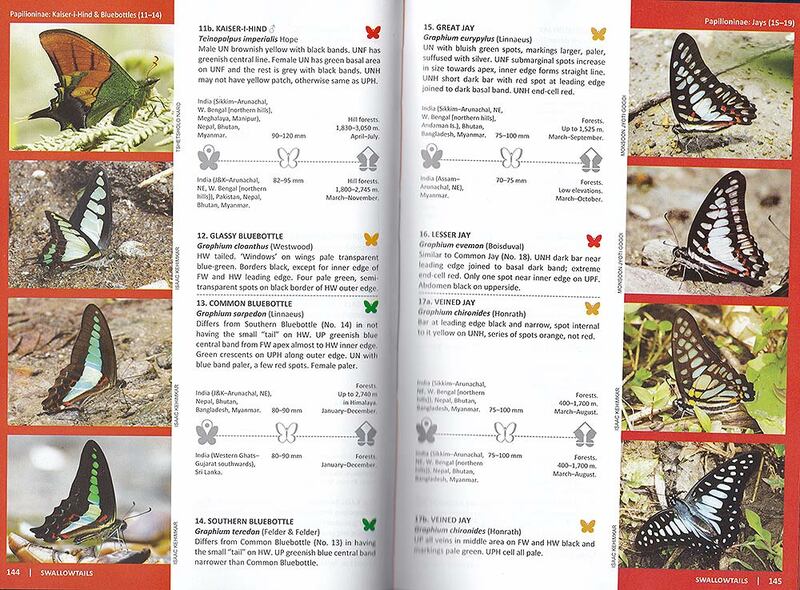 The book also includes life histories of different butterfly families and their adaptation techniques. 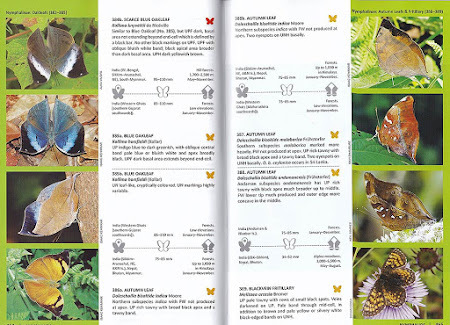 Besides highlighting the rich biodiversity of India's butterfly fauna across a wide biogeographic expanse in the subcontinent, this book is a highly enjoyable guide for nature lovers. 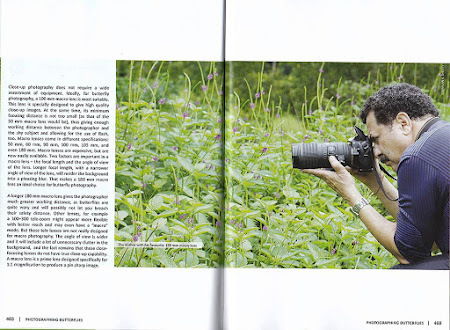 Isaac Kehimkar discusses the biology and behaviour of butterflies, as well as butterfly watching, photography, rearing and gardening to attract them. 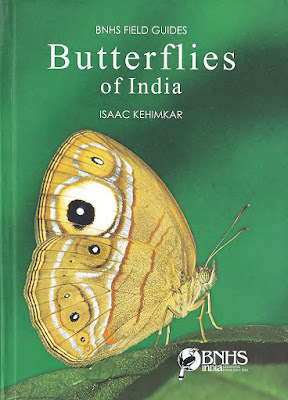 Written by a popular expert in the field, the latest Butterflies of India is another great effort by Isaac and will no doubt be another best seller that will advance the appreciation and knowledge of India's butterfly fauna. Product Details : xii + 528 pages; 5-3/4 x 8-1/5; ISBN : 9789384678012 ; hardcover ; published by Bombay Natural History Society, Mumbai, 2016. 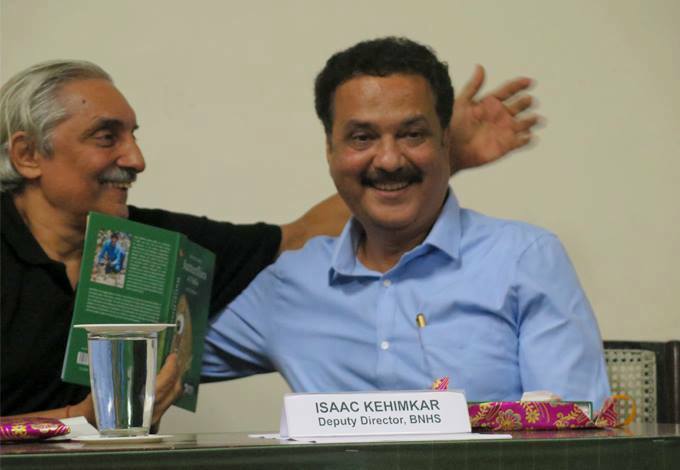 About the Author : Isaac Kehimkar joined the Bombay Natural History Society as a volunteer in 1978, and since then has been lending his expertise to the Library, Publications, Public Relations and Members' programmes. Currently, he is the Society's Deputy Director (Natural History). He is a Fulbright scholar and recipient of the Sanctuary Green Teacher Award in 2014, and Kirloskar Vasundhara Green Teacher Award in 2015. 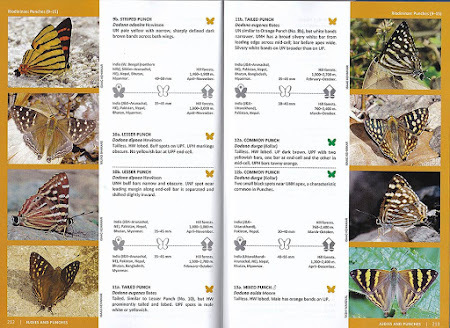 This is his third book on butterflies of India. 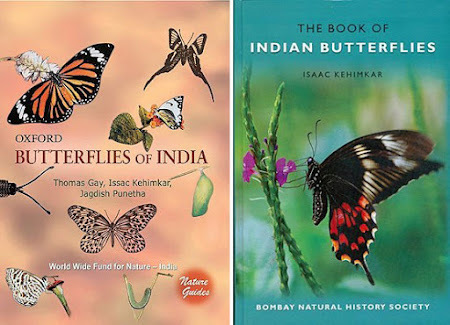 Book Review : I wrote a review of Isaac's The Book of Indian Butterflies back in Sep 2008. 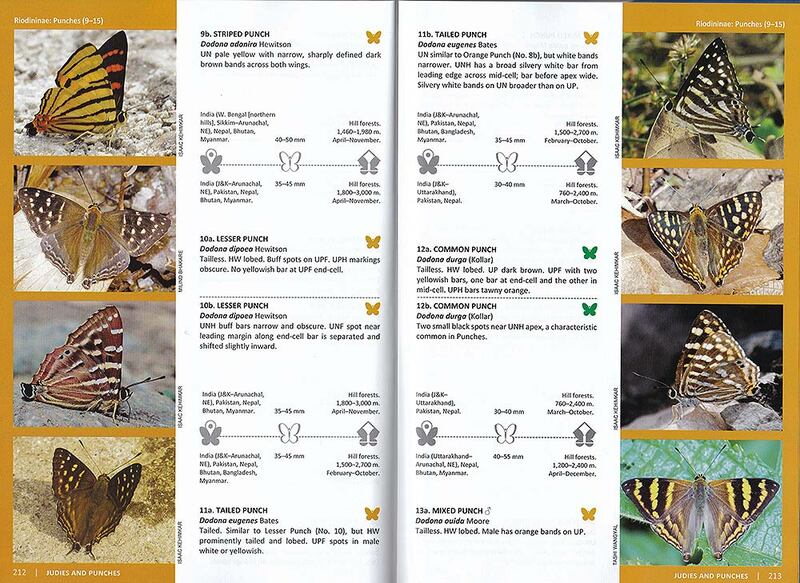 Back then, it was already one of the most comprehensive books about butterflies of the Indian subcontinent available. It featured over 700+ butterfly species/subspecies. Last year, in 2016, Isaac launched his latest work, Butterflies of India, which further outdid his earlier book by raising the bar even higher, featuring 1,025 species/subspecies this time. 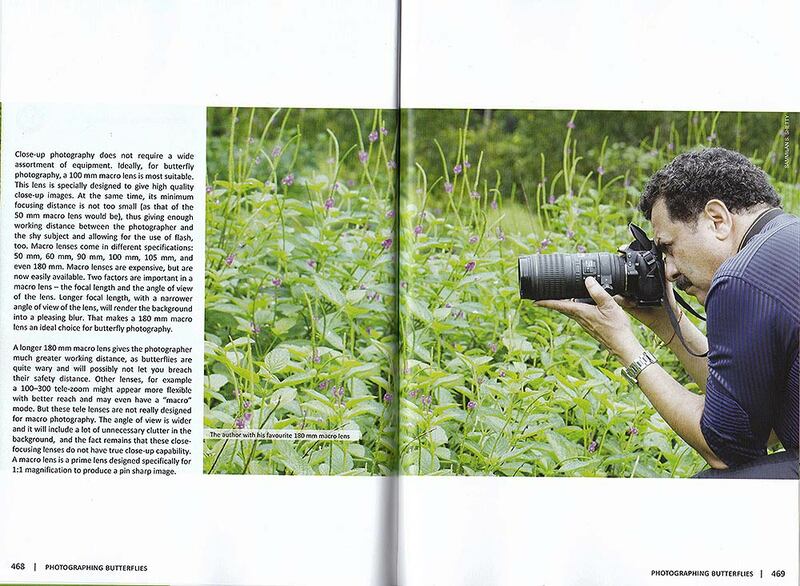 Six years have passed since his earlier book, and the exponential growth of butterfly enthusiasts and photographers made Isaac's work a lot easier this time around, as he was able to collect photos of rarely seen species. The popularity and increase of photo-sharing on social media groups like Facebook have also made it possible to access previously hard-to-access photos from individuals. I recall that, some time back in 2010, Isaac was involved in a horrific traffic accident whilst returning from a field trip. He barely escaped with his life and suffered multiple fractures to his leg. But, as he shared in his book, Isaac took the misfortune positively and found the perfect opportunity to start on his new book. He set a target of over 1,000 species/subspecies, which he met and exceeded, with the help of many individuals that he got to know from the Internet and social media platforms. 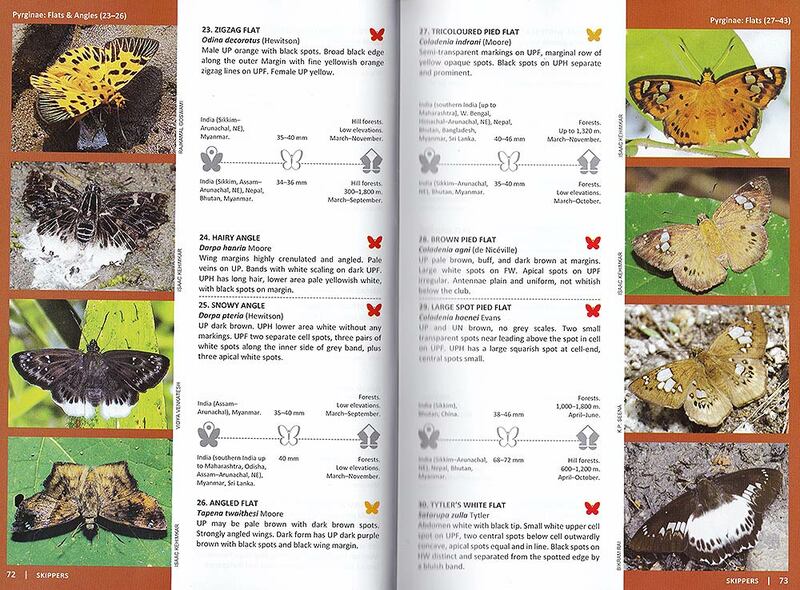 In the Butterflies of India 2016, Isaac spent quite a lot of effort to cover a good spread of information about butterflies in his 40-page introduction. He covers the mandatory topics like early stages, structure of the adult, biology, behaviour, ecology, mimicry and migration in relative good depth. This is followed by a 20-page section on biogeography. This is perfectly understandable, as the Indian subcontinent is vast and the variety of habitats from sea-level mangrove habitats to the 'roof-of-the-world' Himalayan region is mind-boggling. Details on climate and vegetation across the various biogeographic areas are well-researched and covers just about the right amount of information needed to understand the butterfly habitats and ecosystems in India. 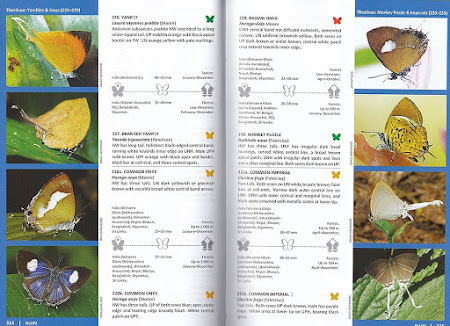 The main section of the book covers the species/subspecies from the six major families of butterflies in the preferred taxonomic order starting from the Hesperiidae and then progressing to Papilionidae, Pieridae, Riodinidae, Lycaenidae and ending with Nymphalidae. 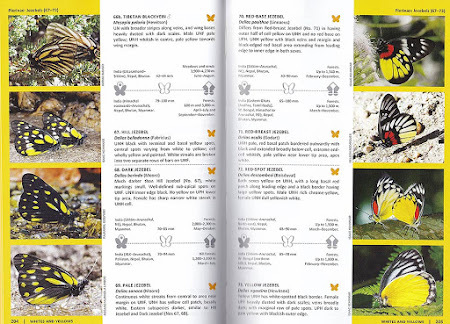 I found that the layout of this section is certainly an improvement over the previous book in that the photos are larger and of higher quality, although I would have preferred even larger depictions of each species. However, given the enormity of the task of featuring over 1,000 species, it would have been quite challenging to keep everything in a 500+ page book. Each page features 4 photos of butterflies, although not necessarily correspondingly of 4 different species. This is where there may be a little bit of confusion, because of the attempt to feature the sexual dimorphism of some species and upper/underside differences. This is but a small issue, as one gets to understand the intention of the author quickly as one flips through the pages. 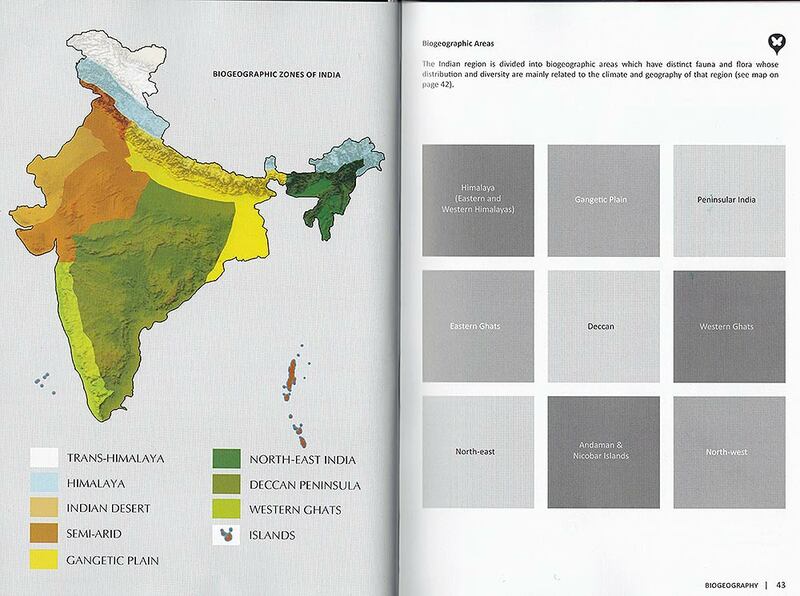 The layout throughout the book is consistent, predictable and pleasing, with coloured borders used to separate the families. The photographers are acknowledged on each photograph and is a more convenient way of honouring the work of these contributors easily, compared to some books where the photographers are acknowledged on a separate page and the reader has to keep cross-referencing the photo with the acknowledgements to see who the author of the photo is. 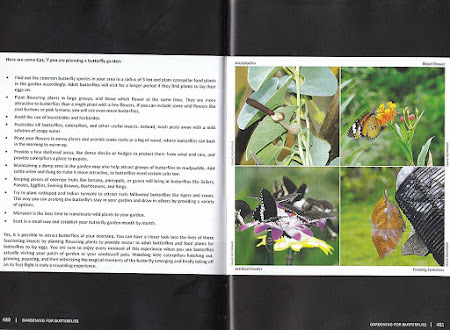 As one flips through the pages, the reader should enjoy some of the photos of rarities that are seldom photographed in the field. 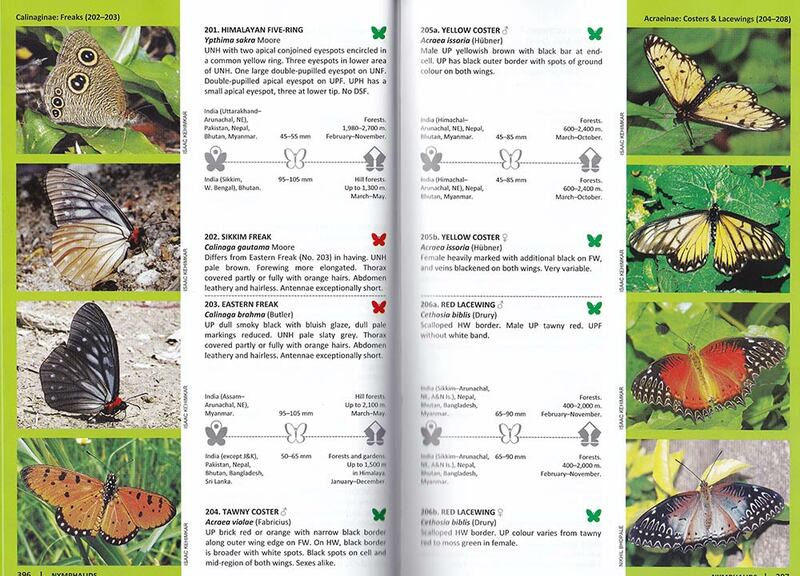 Examples are the Bhutanitis spp., Teinopalpus and many other species that are featured with the red butterfly icon (representing 'rare'). 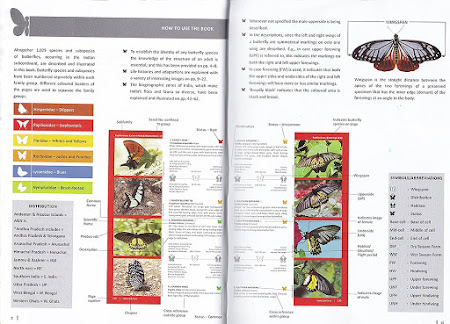 One has to study the "How to use the Book" pages x-xi to fully understand how the species pages are laid out and the legend to the icons. Isaac classified the rarity status into only 3 categories : rare, uncommon and common in this book. 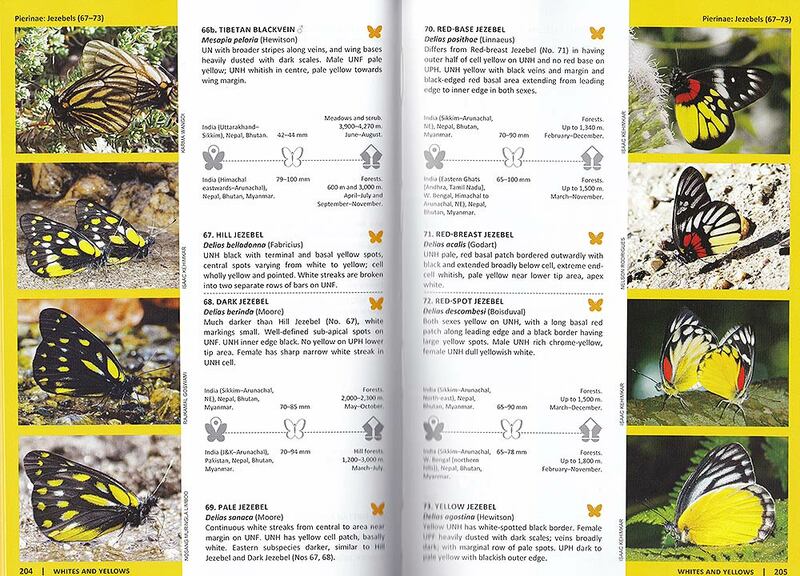 Other relevant information icons cover the distribution, wingspan and habitats. 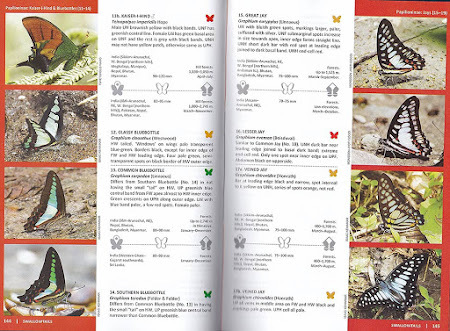 Text is minimised as compared with his earlier book, and the concise description is probably adequate to describe the key features of each species of butterfly. 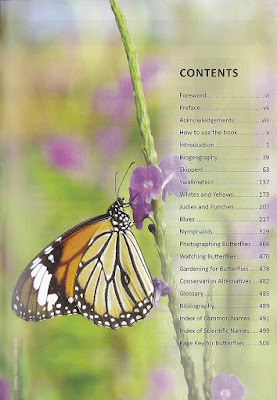 The final section of the book covers butterfly photography and watching, gardening and conservation as Isaac talks about his experience in the field, his favourite photographic equipment and how to attract butterflies to your own home garden. The glossary of terms used in the book and the main index of common names and scientific names are also useful features as one tries to locate the butterfly species. 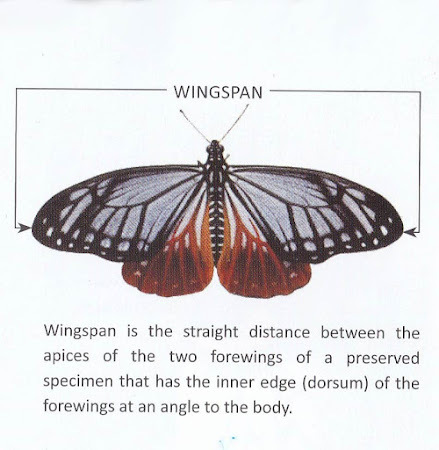 This raises some questions, as the "angle" was not defined, and changing this "angle" changes the "wingspan" of the butterfly. 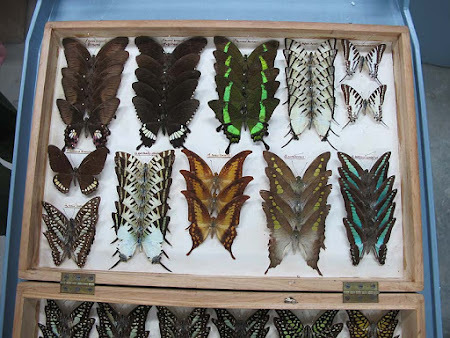 Also, as shown in Isaac's example, I have rarely seen preserved specimens in entomological collections set in this manner. 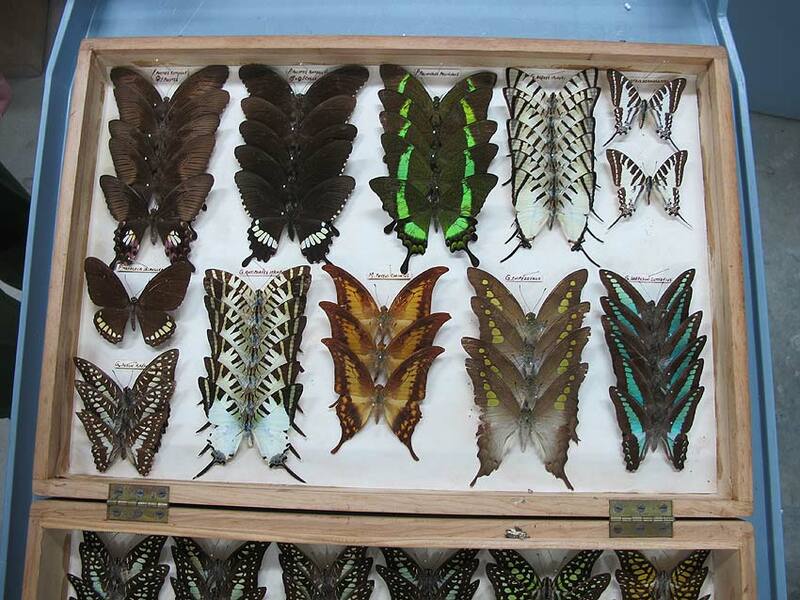 Specimens in most scientific collections that I have come across, shows the dorsum perpendicular to the thorax. 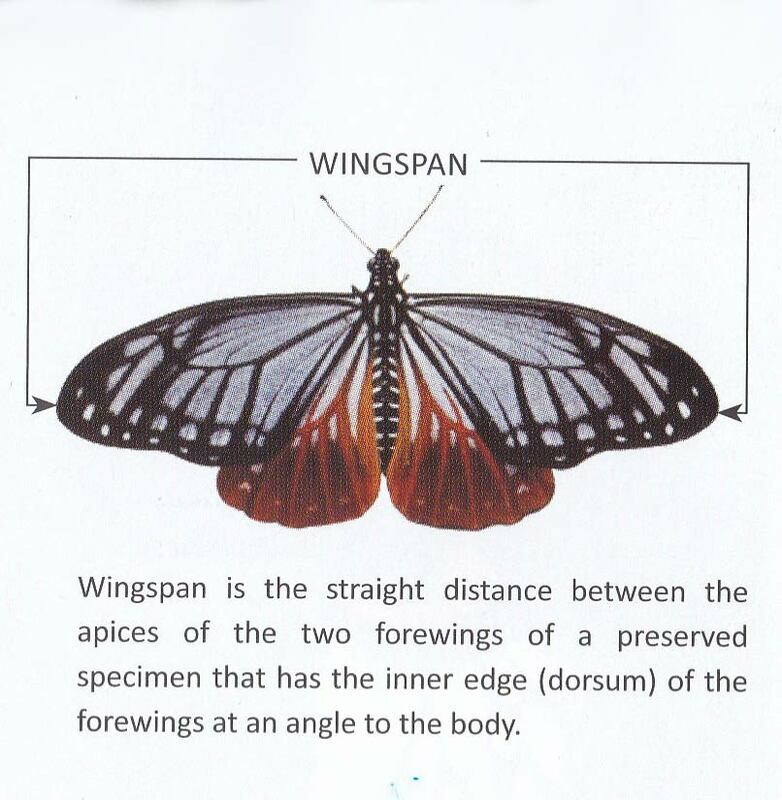 Perhaps it may cause less confusion, if the forewing length is used to give an indication of the dimension of a butterfly's wing, as the measurement from the base of the wing to the apex does not change, irrespective of how the wings are set in a collection. Isaac must have spent a lot of time in researching, writing, proof-reading and designing his book this time. But as any author will quickly acknowledge, there is often the "oopsie" moment when an error is inadvertently overlooked. I challenged myself to look for some errors which I could contribute to Isaac's next effort, perhaps? It took me quite awhile and I had almost given up, but I did find something that Isaac may want to review and consider. The Indian Cabbage White (Pieris canidia) is not known to be distasteful to predators nor display aposematic colouration. However, the Large Cabbage White (Pieris brassicae) is a known distasteful species in research literature. The "error" if I may venture to call it that, can be found on page 31 of the book under mimicry. When I was browsing the book, I was intrigued to see that the Indian Cabbage White (Pieris canidia) to be a distasteful "model". As this species can also be found in Singapore (where I have come across one instance where I saw a Yellow Vented Bulbul with a Cabbage White in its beak), I cross-referenced several websites and books to ascertain if there was any research done to prove that this species displays aposematic colouration and is indeed distasteful to predators. I could not find any. Perhaps Isaac meant to feature Pieris brassicae (Large Cabbage White) instead? 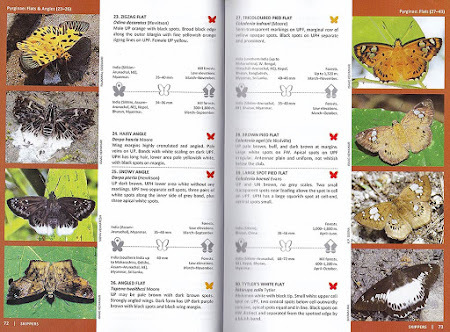 All in all, I enjoyed reading Isaac's book and it is indeed a great effort on the part of this 'butterfly-man' from Mumbai to complete such an impressive work for experts and amateurs alike. 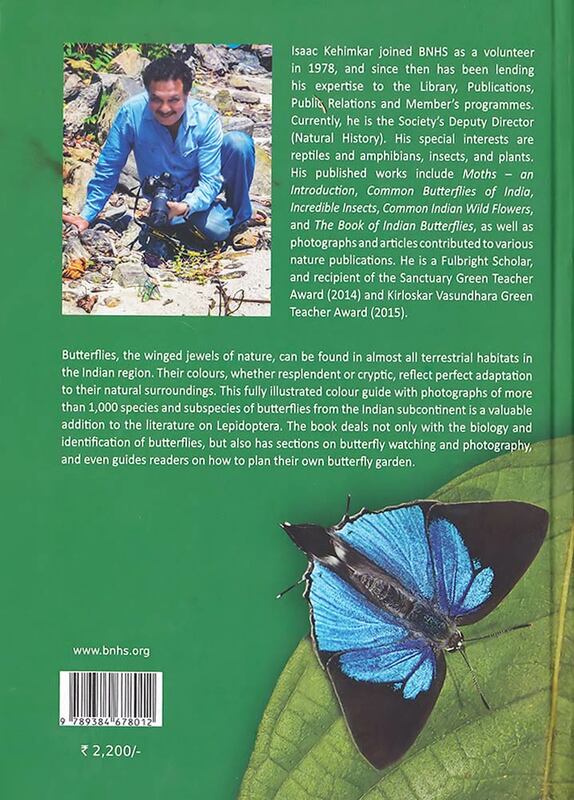 His latest book will, no doubt, be another best seller for students of Indian butterflies and for the global community of butterfly enthusiasts. I had the privilege of meeting Isaac in person, many years back when we met in Penang, Malaysia, and it would be hard to imagine anyone not easily feeling comfortable in the company of this affable, soft-spoken and courteous gentleman. So, well done, Isaac, and I look forward to your next book!